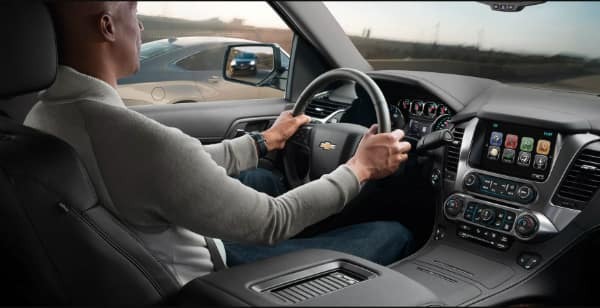 With a best in class fuel economy on the highway with a V8 engine, 355-horsepower 5.3L engine option and an available customizable driver information center the brand new 2018 Chevrolet Tahoe is ready to take you on the adventure of a lifetime. With a fantastic towing power and an extremely comfortable whisper-quiet interior, you cannot go wrong with this powerful SUV. 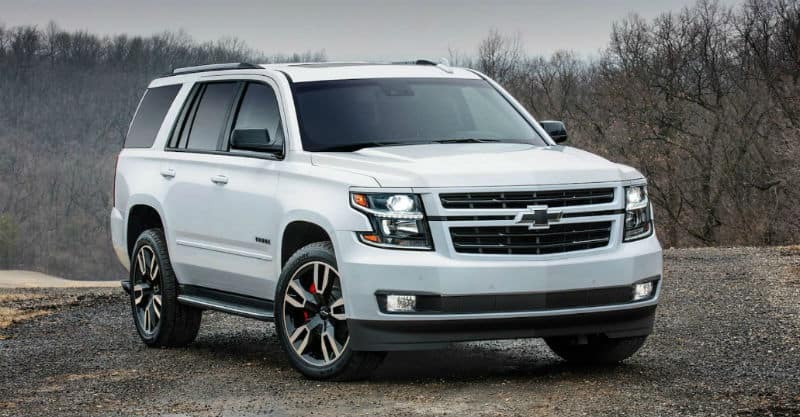 The Chevy Tahoe is now available in Yorkville, IL from Ron Westphal Chevy. With a conveniently located dealership, hard to beat prices and financing options, it is easy for you to drive away in the all mighty 2018 Chevy Tahoe. Built to stand out and built to last, the all-new 2018 Chevy Tahoe has a bold exterior with an all-around fantastic performance. The Tahoe looks great anywhere and everywhere and will make an impression on everyone who sees it. The 2018 Chevy Tahoe does not leave you hanging when it comes to add-ons that will make your life and your passengers’ life that much more comfortable when on long road trips or running errands. 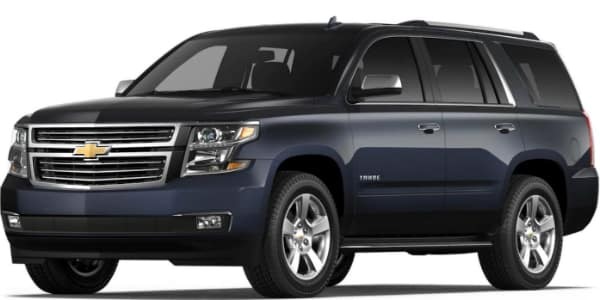 If you are not looking for a run of the mill SUV, like other Chevrolet products, the Tahoe also comes in special editions so that you can stand out more from the crowd in the spectacular SUV. The 2018 Chevy Tahoe is one powerful SUV that can become one unstoppable machine with the available add-ons and features. To start, the 2018 Chevy Tahoe has an 8-inch customizable touchscreen display that allows you to have all of your favorite applications at your fingertips. The Head-up display, which casts an image on to your windshield, will put the information you need the most in your line of sight so you do not need to take your eyes off the road. There are also optional 4G LTE wi-fi and rear-seat entertainment display that allows all of your passengers and yourself to stay entertained and informed on while on the road. The infotainment system is compatible with both Android and Apple as well so you will have access to the myChevrolet mobile app regardless of your cell phone type. With this application, you can check up on your Tahoe diagnostics, lock and unlock your doors as well as start the engine from a distance. With pre-qualifying finance options, a credit approval hotline, quick quote and great car specials, there is no reason to look elsewhere than Ron Westphal Chevy. They offer some of the best customer service in the Yorkville, IL and surrounding area. With these finance qualifying options and great specials on many new and used car, truck and SUV specials, you will not drive away disappointed. Purchasing your brand new 2018 Chevy Tahoe should not be stressful or complicated. At Ron Westphal Chevy in Yorkville, IL they make buying your brand new or used car, truck or SUV simple. They will take the time to understand your needs and wants and will allow you to find the vehicle you have been searching for. With highly trained service and maintenance staff, you can rest assured your car, truck or SUV will be taken care of properly. Their sales team is also highly prepared to not only find the right car, truck or SUV for you, but also to help you find the best financing that suits your financial needs. If you live in Yorkville, IL or surrounding area, look no further than Ron Westphal Chevy.